Galaxy S6 and LG G4 facing delays thanks to Snapdragon 810 defects? Update: A Qualcomm spokesperson sent TechRadar a statement to debunk this report, though he wouldn't go into detail. "We won't comment on any of the rumor or speculation you referenced but I can tell you that everything with Snapdragon 810 remains on track and we expect commercial devices to be available in 1H 2015," the spokesperson said. With that all we can do is wait and see what the future holds for Qualcomm and the phone makers that rely on it. Planning for Samsung's and LG's next flagships is undoubtedly well underway already, but their releases might not be as close as one might hope. There are problems with Qualcomm's newest chip, the Snapdragon 810, reports Business Korea, that might cause delays for the Samsung Galaxy S6, LG G4 and others. Qualcomm is reportedly having trouble producing the new chip due to problems with "overheating and a decline in speed," the site says. 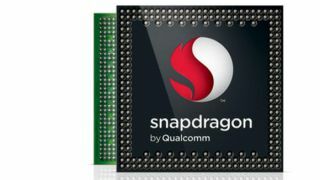 A source told the site that "the Snapdragon 810 overheats when it reaches a specific voltage" and "slows down owing to problems with the RAM controller connected to the AP," and that "there is an error in the driver of the Adreno 430 GPU." Qualcomm's chips have become the gold standard for mobile devices, so if they've having trouble then smartphone makers will too. This report suggests Samsung may solve the problem by using its own Exynos chips in the Galaxy S6, and a rumor earlier this week indeed said that the S6 will come with a 1.8GHz octa-core Exynos 7420 processor - a chip that hasn't even been announced yet. But that won't help LG and the other companies looking to Qualcomm for their next generations of flagship phones. Other phones that are supposed to pack the 810 - or are rumored to at least - include the Sony Xperia Z4, the HTC One M9, Motorola's next Droid, the Xiaomi Mi 5, and others. Where all these phone makers will come up with alternative processors if Qualcomm really is struggling is anyone's guess. We've asked Qualcomm for an update on the Snapdragon 810, and we'll update if we hear back.